Cindy Crawford in an “un-Photoshopped” shoot for Marie Claire. Many of you will have seen this “un-Photoshopped/untouched” image of Cindy Crawford that’s been making it’s way around the internet lately. Whilst I applaud Cindy for this, let’s not forget she is a supermodel who has made exorbitant amounts of money from her face and body FOR YEARS, so even without retouching, her “look” is quite unobtainable for most women. 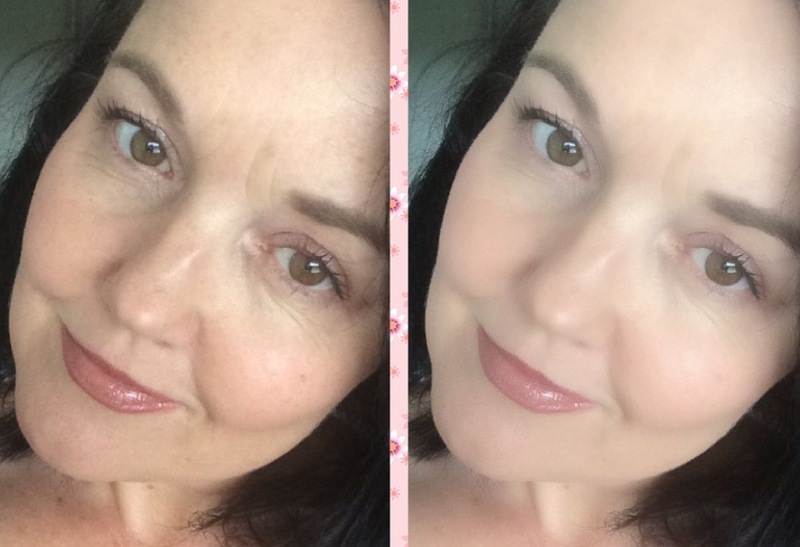 When I originally planned this post, it was going to be a sneaky little share of some apps that you can use to de-wrinkle, brighten and smooth yourself out! 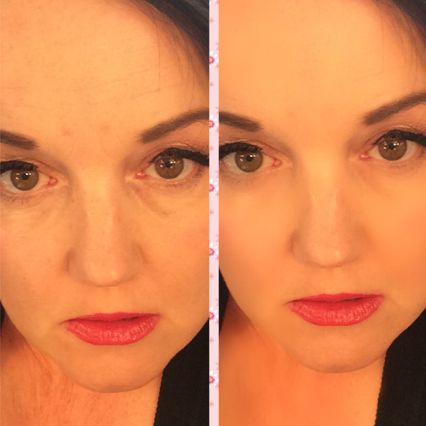 When I came across them I squealed with delight; used them on a couple of photos (see below) and then realised that actually, I didn’t really want to do that any more, because that isn’t me – I do have wrinkles, blemishes and teeth that aren’t glaringly white, but you know what? I don’t hate those things. And I’m 46 – and I’m not embarrassed about that – so they are pretty much a fact of life. Anyway … this post is actually going to contradict itself a bit! Firstly I’m going to mention three little apps you can use if you want to enhance yourself a bit for your photos – and why not? That’s your decision. But the other part of the post is going to talk about whether or not these apps (and Photoshop) are actually destroying your self-esteem without you even knowing it. Ok … so the first app is called FaceTune – you can get it for free in the App Store. See how my skin is so much smoother on the right? The blemishes are minimised; the dark shadows under my eyes aren’t nearly as apparent and my neck looks miraculously younger and less lined? So that’s FaceTune for you! I did try to suggest the two images weren’t that different, but my daughter rapidly assured me they were! 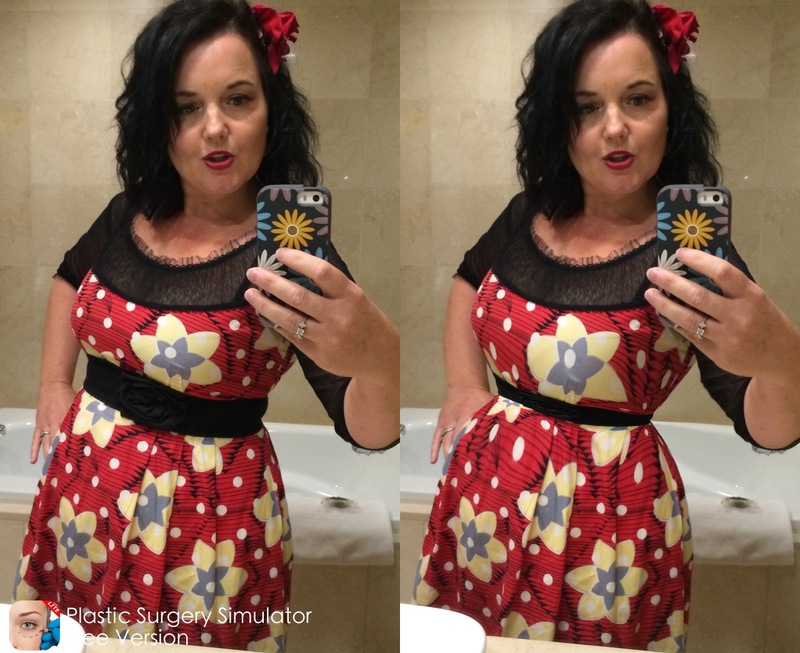 OK, this photo is embarrassing – I took it to show off that I was in Auckland in a swanky hotel, however can you see how much I’ve managed to shrink my waist? And I don’t even really know how to use that app! Now I know it’s kind of obvious if you know what you’re looking for and you have the “before” to compare with, but if you didn’t … I could just about get away with that right? And imagine if I’d FaceTuned my face as well? I’d be barely recognisable from the original! Of course there are all sorts of filters and things on Instagram too, and artful ways of cropping things to maybe get rid of that squashed arm that makes you look obese, or cropping your photos off at the forehead so those pesky wrinkles don’t show etc – they’re all tricks of the trade and are fair and reasonable things to do I suppose! So – as you can see, these apps can do pretty good, and relatively subtle (or not!) things to your photos. But as I said earlier, I am also going to look at whether or not these apps and Photoshop are ruining your self-esteem without you even knowing it. Have you ever looked at a girl you admire and marvelled at her tiny waist or her flawless skin or the fact she doesn’t have any wrinkles and there’s never a hair out of place? Sometimes, if it looks too good to be true, it probably is! And all power to her if that’s what she wants to do – but you wonder how she feels about meeting people in real life (IRL) knowing full well she doesn’t really look like her photos. And as for Photoshop – you only have to look at these images below to see that even the girls who are a) genetically blessed; b) have had their hair and makeup done by professionals and c) are shot by professional photographers, with the most sophisticated equipment under the right lighting and with all the other tricks of the trade – they STILL get Photoshopped at the end. So realistically, even THEY don’t look like them! I mean just look at this shot! I believe the pinup and burlesque “scenes” have a pretty good attitude to body acceptance and that’s one of the reasons I love them so much. They celebrate curves and angles and everything in between. And don’t forget – lean girls can have their feelings hurt just as easily as bigger girls. We’re all beautiful and whatever the body you have, it’s yours and you need to love it and treat it right. Extra for experts: check out this video – amazing and frightening all in one go! Posted on June 20, 2017 September 23, 2018 by MumptyStylePosted in Fashion, Mumpty StoriesTagged FaceTune, moreBeaute, Photoshop, Plastic Surgery Simulator. Fantastic article love it. Aps are fun to play with but I am now of the mind that I don’t believe any pics in an model ‘industry’ are legit no matter how sincere the model says she does not to buy into that image altering. The pinup girl industry is not immune to this either which I think many followers do not want to believe.